This might sound a little strange, but the thing that I eat for dinner most often is avocado on whole wheat bread. I’ve said before on this blog that I have not been sick for the past three and a half years, but to be honest, only the last two of these years can really qualify as health conscious years. The only health conscious choice I made for the first eighteen months was eating a lot of avocado and, since this single habit seemed to immunize me against all forms of illness, I have become quite a believer in the health benefits of this rather peculiar fruit. 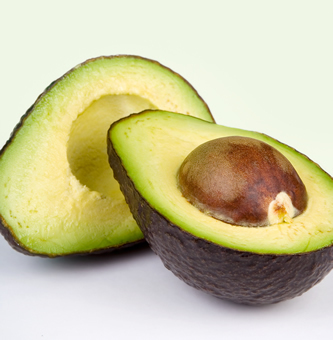 Avocados often get a bad rap as being a “high fat food”. Yes, it is true that they contain lots of fat, but the fat they contain is very good for you. The truth is that the body needs quite a lot of fat to function optimally and that people following special low-fat diets are definitely doing more harm than good. 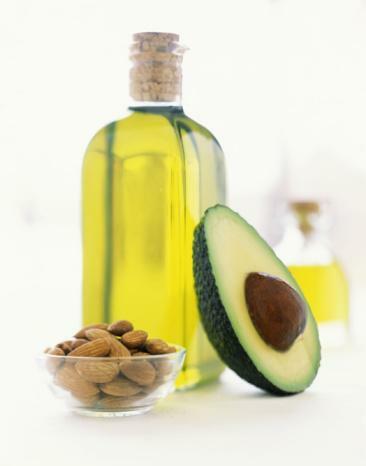 The two primary “good fats” that we all should get more of are omega-3 fatty acids (such as those in oily fish like salmon and certain seeds such as flax seeds) and monounsaturated fats (such as those from fatty plant sources such as olive oil, nuts and avocados). Parasdoxically, if you are looking to lose weight, adding some of these fatty foods to your diet will help a great deal by boosting your metabolism and getting the body to burn more calories as it starts functioning more efficiently. However, the most important effect of these healthy fats is that they protect against almost all forms of degenerative disease, something which previous posts have established as a major problem of our society today. Aside from that, avocado also has anti-inflammatory properties, blood sugar regulation properties and anti-aging properties. It also promotes skin and eye health. Another very interesting effect of avocado is its ability to greatly enhance the uptake of other health promoting nutrients. For example, adding some avocado to a green salad will suddenly make all the greens in the salad a lot healthier because your body will be able to absorb their nutients more effectively. So, eat avocados freely. Pealing an avocado, crushing it with a fork, spreading it on whole wheat bread and adding a little salt and pepper only takes a few minutes and is truly delicious. I really look forward with great anticipation to the ripening of the stock of avocados I keep in my fruit basket and consider them an essential part of my healthy nutritional environment.